BIAFRA: SIR: Ethnic nationalism is sweeping across our world like a gale of wind. Some countries in our today’s world are experiencing violent agitation for state-hoods by separatist groups. Few years ago, Scotland conducted a referendum to determine its continued stay in the Great Britain. The Basque People in Spain want a separate country of their own. The Western Sahara is demanding freedom from Morocco. It used to be a colony of Spain, who ceded it to Morocco. And in Kenya, the country is characterized by ethnic hatred and conflicts as the Kikuyu, Luo and other tribes are battling for ethnic supremacy and the control of political power at the centre, killing one another in the process. Back home in Nigeria, ethnic conflict has become a permanent feature of our political history and odyssey. Forty-six years after the end of the civil war, the agitations for political sovereignty by some ethnic groups have not ceased. Expectedly, at the root of their agitation is their feeling of marginalization. The Niger-Delta people feel that the proceeds realized from the sale of crude-oil, which is got from their soil, are used to develop elsewhere. 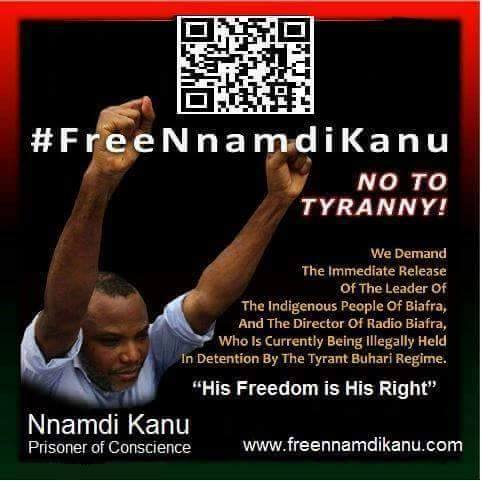 And in the South-East, there is a renewed and intensified agitation for the state of Biafra, the rallying point being the detained director of Radio Biafra and IPOB leader, Nnamdi Kanu. If Nigeria were to disintegrate now, many nation-states would come out of Nigeria. And Nigeria’s strength as well as its greatness lies in its diversities. Can’t we utilize our diversities in many areas to achieve national development as America is doing? America, a nation of nations, is the melting pot of the world, millions of its citizens having originally come from other countries. In America, race, religion, sexual orientation, language, and money are not the factors that determine who leads that country. Were these factors determinants of the person who would become the American president, Barrack Obama wouldn’t have led America for eight years. It is fact that a country cannot grow above the visions and dreams of its national leaders. What throws up misfits, ethnic chauvinists, religious bigots, thieving politicians, and others as our national leaders is our flawed recruitment process for leaders. And that’s why Nigeria is in the cesspool of under-development. We need a detribalized leader with probity, leadership qualities, and competence to pilot our affairs. We need a leader who will wield the country together and entrench unity among us.